With this kit, students learn how acid-based titrations operate. A major challenge for any scientist is identifying what and how much of something is in a solution. One of the most common measurement techniques used is titration. 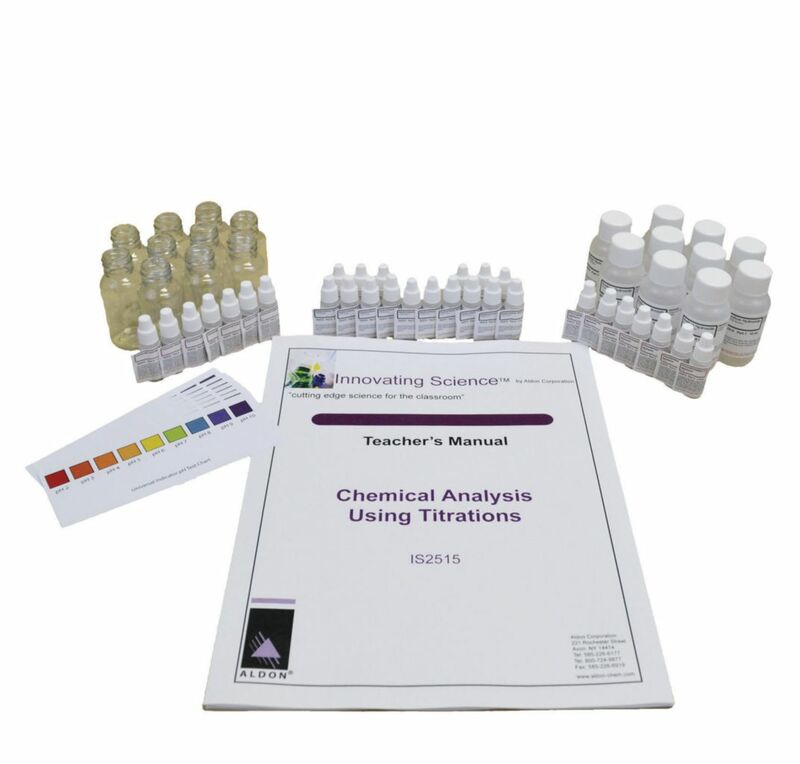 The activities in this kit focus on how acid-base titrations work and how to identify the concentration of an unknown acid. It includes required items and uses Developers I, II, III, and IV. Ordering information: This kit includes sodium hydroxide, hydrochloric acid, phenolphthalein indicator, a universal indicator, universal indicator color charts, and reaction vessels.